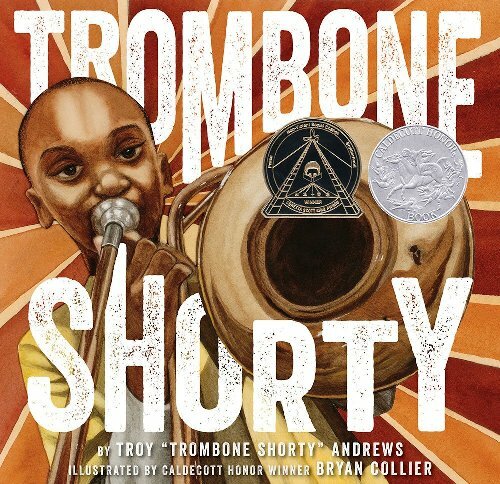 True talent just has to come out, and nowhere is that more evident than in the 2015 picture book bestseller called Trombone Shorty, written by none other than Troy “Trombone Shorty” Andrews. It is the story of young Troy Andrews, an African American male from a musical family in a musical neighborhood called Treme’ in the very musical city of New Orleans, Louisiana. Troy’s brother James plays the trumpet and leads a band of his own, and Troy dreams of being in the band so much that he walks around playing an imaginary horn. Music, Mardi Gras parades. and festivals are all a part of Troy’s life. In fact, he and his friends start their own band with instruments they make themselves. Then one day Troy finds a beat-up, broken trombone that is bigger than he is. It is so heavy that Troy falls right over as he tries to play. When big brother James spots Troy blowing his HUGE trombone, he christens his little brother “Trombone Shorty,” and the name sticks. 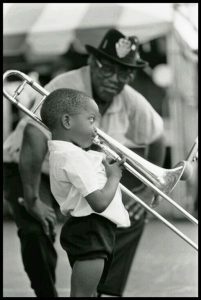 From then on, Trombone Shorty eats, sleeps and dreams the “trombone.” Then he gets his chance to shine when legendary Bo Diddly calls him up to the concert stage. 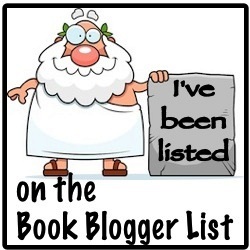 This is a delightful book about raw talent and determination that will inspire readers of all ages. Even though Troy lives in poverty, his situation does nothing to stop his dream of playing music and having his own band. 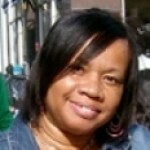 Author Troy “Trombone Shorty” Andrews’ prose is quaint and kid-friendly. 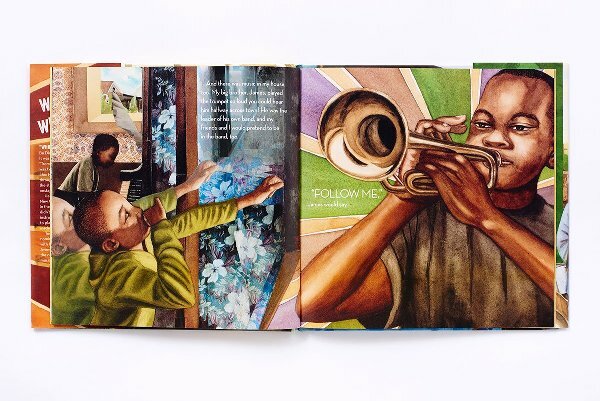 Artist Bryan Collier’s illustrations are rich, ripe and full of emotion, and are the chocolate icing for this lovely book about young musicians. Suggest this book for your budding young musicians, or as a supplemental history lesson in African American or American history. It can also be used as a jumping-off point for discussions about talent, drive and determination, or to study regional history, neighborhoods, or even the road to fame.